Star wars? President Trump says "space is a war-fighting domain"
Is a "space force" financially feasible? 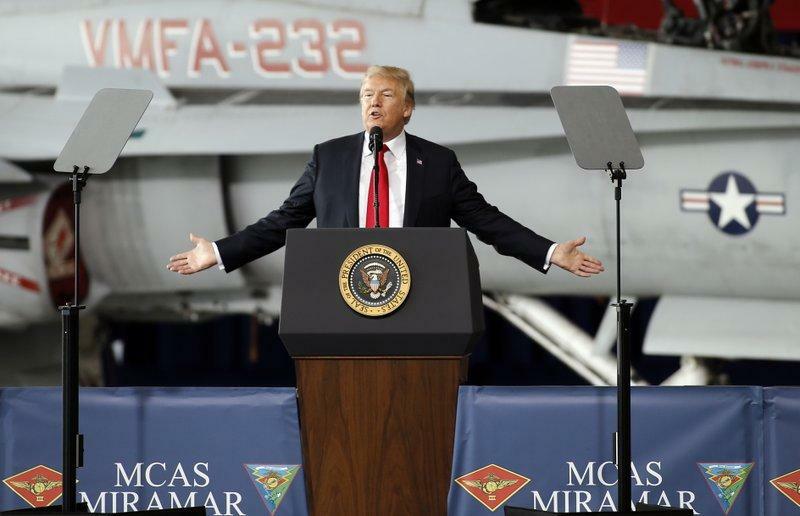 WASHINGTON -- America should create its own separate military space force, President Donald Trump mentioned in an offhand remark Tuesday that would change the course of U.S. space policy. But don't expect Captain Kirk ordering phasers set on stun, Battlestar Galactica or ray guns blazing in orbit in the near future, space experts said. And some said a military space force may make it harder to keep Earth's orbit a place of peace. Saying his national security strategy "recognizes that space is a war-fighting domain, just like the land, air and sea," Mr. Trump said at a San Diego Marine Corps base that he's considering "a space force" that would be the equivalent of the Air Force, Army and Navy. Mr. Trump said at first he wasn't serious when he floated the concept, but "then I said what a great idea, maybe we'll have to do that." Mr. Trump's own defense secretary and Air Force secretary argued vociferously against it when members of Congress pushed it last year, O'Keefe said. You can emphasize more help for the military in space without going to the massive organizational change and expense, he said. "It's really what we're already doing but giving elevated status to the mission," American University space expert Howard McCurdy said of Mr. Trump's proposal.